The design portfolio of Ian Bach. The recent influx of touch screen technology into automitive interior design completley fails to acknowledge the value of haptic control and non-visual feedback. As a response, we designed and built a prototype for a hybrid automotive UI, focused around physical controls mounted directly onto a multitouch display surface. 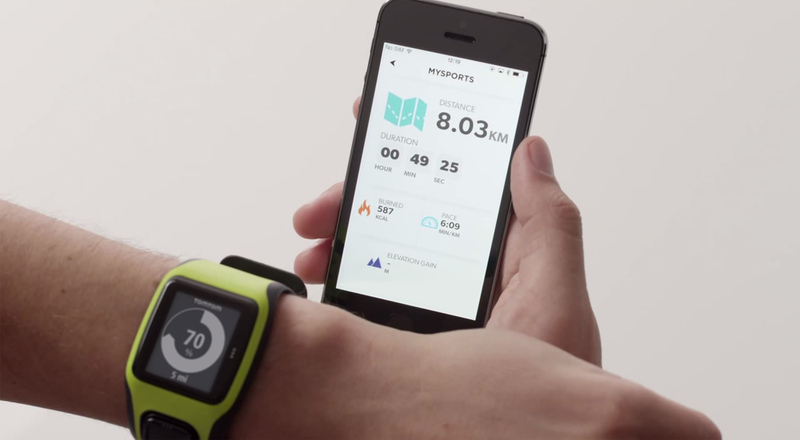 Taking TomTom into the sports tracking market. Proposition scoping and user research, led into physical interaction design and a product design piece that stretched across embedded UI, web and mobile. TomTom later took the project in-house. An incubator project whilst at Made By Many. Working very closely with the wonderful Ben King to devlop the industrial design, physical interaction and mobile product/service. Various TV product design pieces for Bang & Olufsen's flagship products. A large piece of work focusing on the redesign of 'control', from physical remotes, to TV UI and a full app eco-system. Motion tracking and smart coaching for tennis. Early proposition development, prototyping and testing with the insanely talented Carl Meagans. Industrial design to build out the first prototypes of the physical device, and scoping the digital service proposition. Artengo later took the project to market in-house. Product development, design and prototyping for a new social training platform and connected product, aimed at teens. Work remains confidential. Relaunching the app that gave birth to our generation's obcession with mobile photography. Complete interaction and visual overhaul, for the Windows Phone platform. Props to the awesome UsTwo and Alvaro Arregui. Co-founder of the physical interaction LAB at Native Design. Exploration into proximity triggered control around the home. The best screen is the one in your pocket. Portable lighting for the home.